The 49ers are set to activate cornerback Eric Wright from the non-football injury list and will waive fellow defensive back Nnamdi Asomugha in order to make room on the 53-man roster. Wright was originally acquired from Tampa Bay before training camp but the trade fell through when he failed his physical. The Buccaneers later released Wright which allowed the 49ers re-acquire him as a free agent. As far Asomugha, he filled the role as the team’s nickel corner back during the first three games of the season and did not play well. He hyper-extended his knee in Week 3 which opened the door for Tramaine Brock to take of hold of the nickel role. Brock has responded with strong play and is currently tied for the team lead with three interceptions. Asomugha, who was once considered one of the best defensive backs in football, was a three time pro-bowler with the Oakland Raiders. He saw his play diminish after signing a five-year, 60 million dollar contract with the Philadelphia Eagles in 2011. In three games with the 49ers in 2013, he totaled three tackles and two passes defended. He was also guilty of a 40-yard pass interference penalty against the Seattle Seahawks in Week 2. 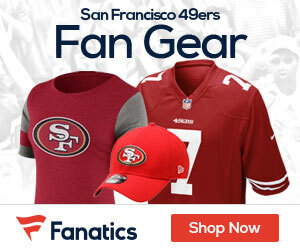 Be the first to comment on "49ers set to activate Wright, waive Asomugha"